Schlechte Nachrichten gibt es leider für die Fans von Black Sabbath. Schon seit einer Weile ist bekannt, dass Gitarrist Tony Iommi an Krebs erkrankt ist und wohl keine Kraft für eine ausgedehnte Tour hat. Von der geplanten Europa-Tour der Band bleibt nun als exklusives Konzert der Auftritt beim Download Festival in England (am 10. 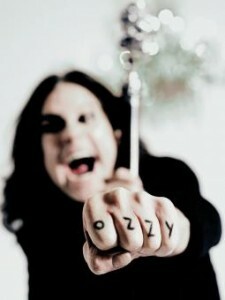 Juni 2012) – alle anderen Festivaltermine werden von Ozzy Osbourne und Friends absolviert. Betroffen davon sind unter anderem Graspop, Hellfest, Gods of Metal und das Azkena Rock Festival. OZZY OSBOURNE will now perform the majority of the previously scheduled BLACK SABBATH dates billed as OZZY & FRIENDS. These “first ever” OZZY & FRIENDS shows will feature appearances by “special guest” musicians including GEEZER BUTLER and longtime former OZZY band member Zakk Wylde. In addition, OZZY will be accompanied by longtime collaborator and friend Slash at select shows, with other “special guests” set to join the tour at various stops along the way (full list of dates, appearances below).